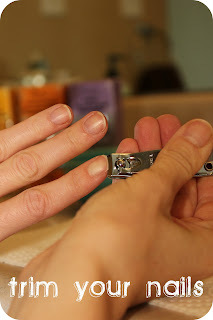 doing your own mani can not only save you money, but time as well. it isn't easy for me to find a spare 30-45 minutes where i can leave the house (sans children) just to keep up my polish. 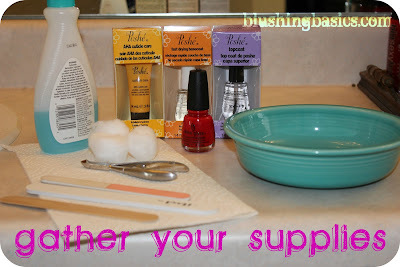 doing my own manicure is simple, easy, and inexpensive! gather your supplies. nothing is worse than having to look for your top coat with because you forgot to grab it before you polished your nails! remove any old polish. enough said. trim your nails. some people prefer longer nails, i cannot do long nails because cleaning = broken nails. 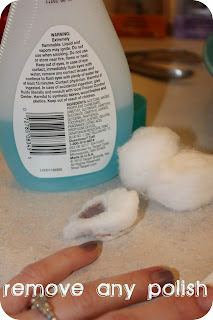 if you are going to trim your nails, make sure you leave a small amount of white at the tips. file your nails. this helps to add shape and remove any sharp edges. when filing, be sure to avoid using a sawing motion as this will damage nails. 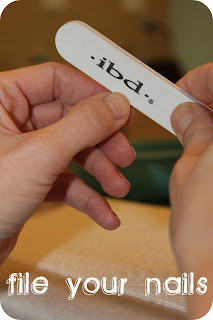 gentle rock your file from one side to the other to achieve desired shape. soak your nails. fill a bowl with warm water and few drops of soap and proceed to soak for approximately five minutes. this will help soften your cuticles, remove any dust from filing, and clean your nail beds. push back cuticles. 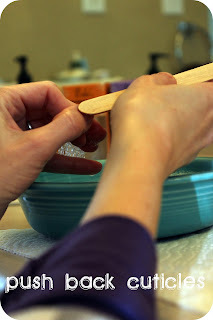 using a cuticle stick, popsicle stick, or anything you have that is worthy of the job, gently push back cuticles so that nail bed is clear. polish your nails. 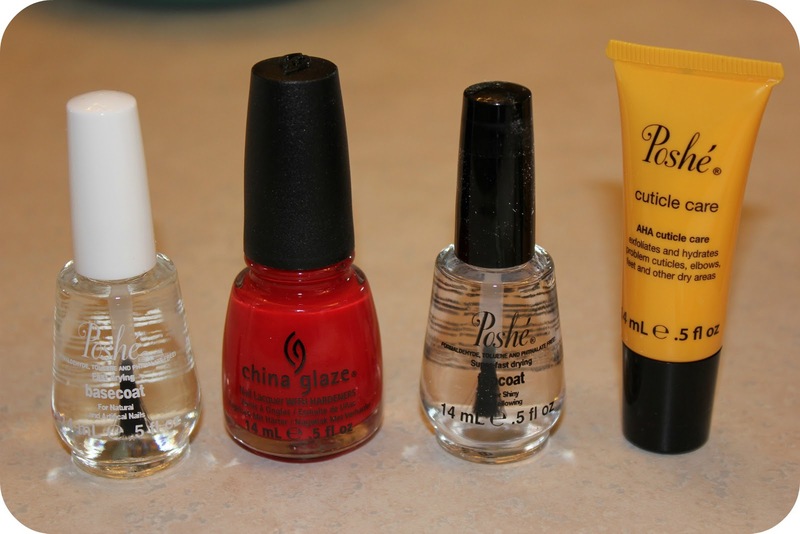 i am using my Poshe basecoat to ensure a smooth canvas, my China Glaze polish for beautiful color, and my Poshe topcoat for a shiny finish. love these products and my nails last for days without chipping. yay! finish with the Poshe cuticle cream to prevent hang nails and keep cuticles moisturized. doing this once a month should keep your nails healthy and strong. this doesn't need to be done every time you polish, but it will help maintain nail quality. Thanks for the tips. What's the name of the China Glaze polish? This is a great post,thanks for sharing loving that red polish! thanks ladies! Melody, the name of the polish is China Glaze Poinsettia. it is from their Let It Snow collection. love the red nail polish!